Alexandra Fuller was born in England in 1969. 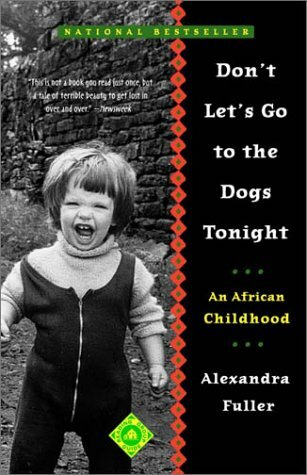 In 1972, she moved with her family to Rhodesia (now Zimbabwe). At the end of that country's civil war, the family moved to Malawi and later Zambia. Fuller received a Bachelor of Arts in English Literature from Acadia University in Nova Scotia, Canada after which she returned to Zambia where she worked with a safari company. In 1993, Fuller and her husband settled near Livingstone on the banks of the Zambezi River. In 1994, she left Africa and moved to Wyoming, USA In 2011, her book Cocktail Hour Under the Tree of Forgetfulness made Publisher's Weekly Best seller list.